Automation has made life easier, and now we can allocate our valuable time to doing other productive activities. Technology in its entirety over the years has automated most of the household mechanics. 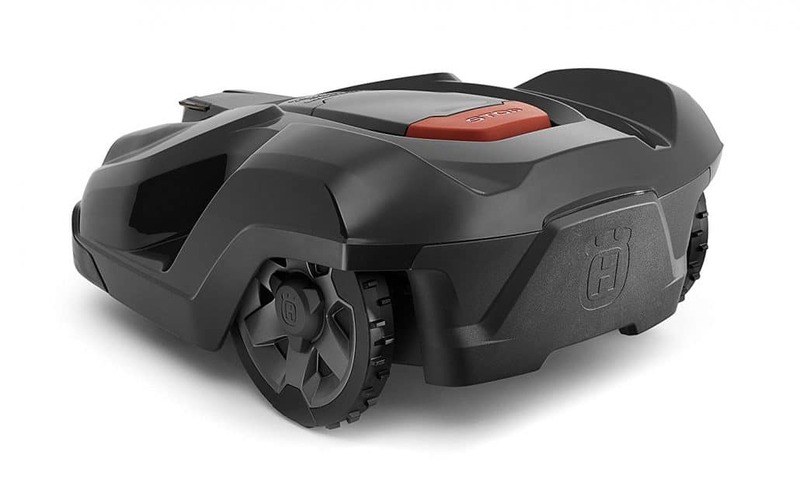 It all started with robot vacuum cleaners, and now we have robot lawn mowers. 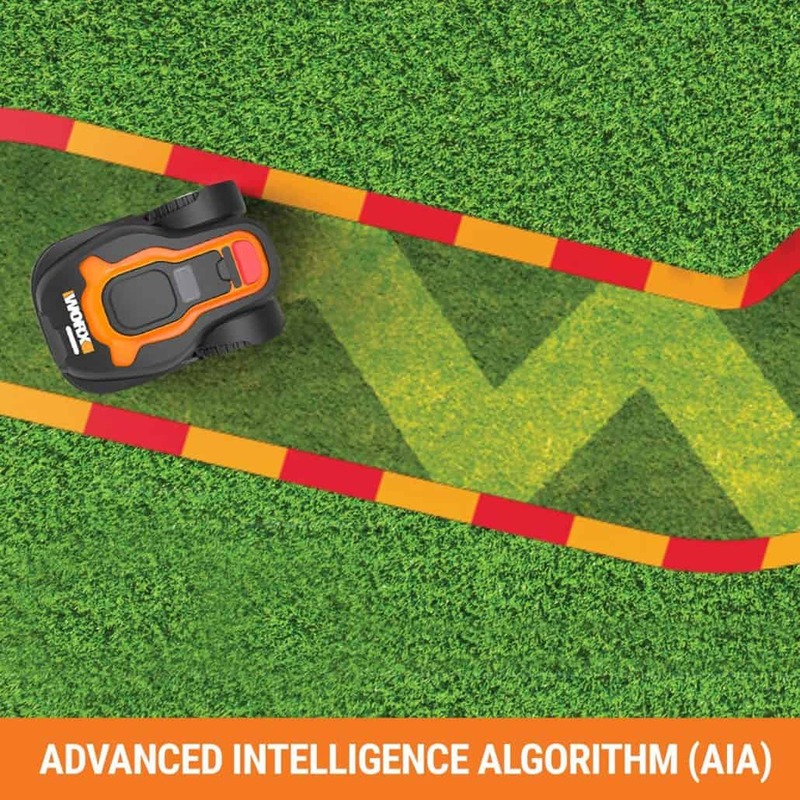 A robot lawn mower follows simple programming to operate. A guide wire or line is used to indicate the parameters where the lawn mower needs to cut. 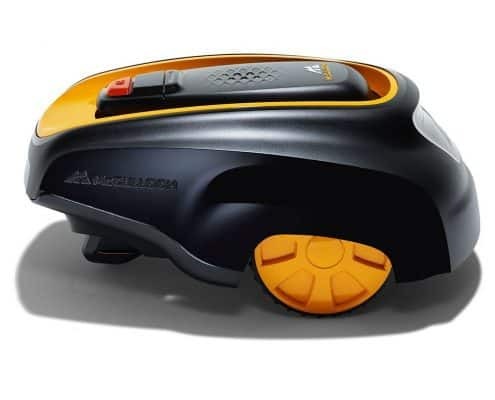 It is fitted with sensors that can map out and mow the lawn to precision. 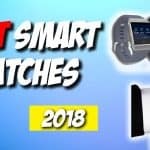 For anyone seeking the best robot lawn mower for their garden or yawn, the market is flooded with similar choices, and thus you might need a few suggestions to guide you in the right direction. The cost, style, and color, are crucial to choosing the best lawn mower for your needs. 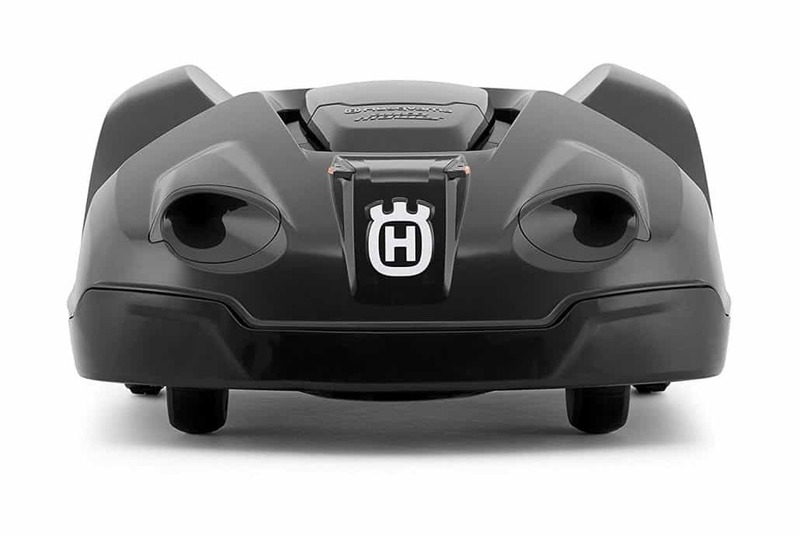 So what are the best Robot Lawnmowers this 2019 you ask? We have done the work for you! After scouring the internet and analyzing dozens of lawn mowers, we narrowed down to five machines that we found unique, durable, and effective. It was not an easy task as we had to read customer reviews of each lawn mowers, analyze its features, and read expert reviews to separate the chaff from the wheat. It took us close to 72 hours for our team to compile this list. 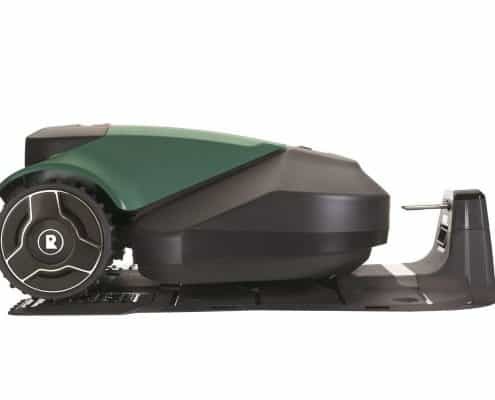 So, What Qualities Makes a Great Robot Lawn Mower? Firstly, a good robot mower should be easy to use. Obviously, there are some initial learning and set-up that is required, but the key point here is that manufacturers should give clear instructions that are easy to follow and it should come already set-up on most things. This is one of the most important considerations. How much area can your robot cover? Robots have varying coverage but quality ones should have a standard coverage of ¼ to ½ of an acre. Robots with larger coverage may require additional investment and may require additional boundary markings. Some robots can handle larger areas than others. Therefore, know your needs before you buy one. A good lawn bot should come close to mimicking the cut quality of traditional lawn mower. 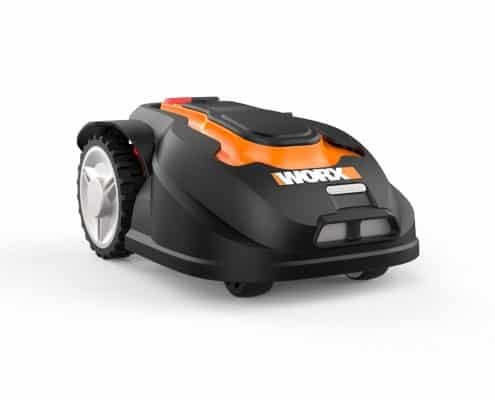 In fact, the cut quality of some high-end robotic lawn mowers can be better than the cut quality of traditional lawn mowers. Related to this is the height of lawn bot can cut. Ensure to check the minimum and maximum grass height a robot lawn mower can cut before you buy. This is one of the factors that separates quality lawn bot from normal ones. It is one thing to cut cleanly on the edges, but proper edging can make the difference between having you not work on your lawn edges and spending hours doing a retouch on the edges. 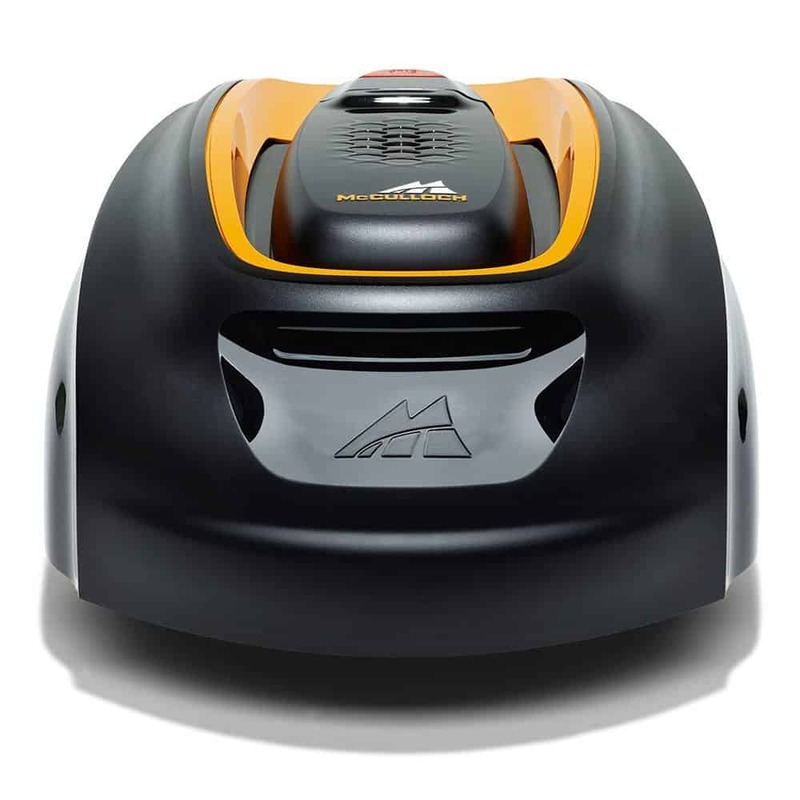 The good thing about the robot mowers we have reviewed here is that all have a great technology that enables them to cut near the edges better than traditional mowers. 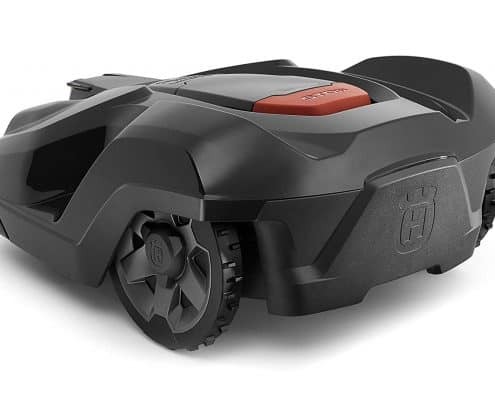 Here Are The: Five Best Robot Lawn Mowers That Made The Cut! Real Amazon.com Customer Reviews, Want To Read Them? 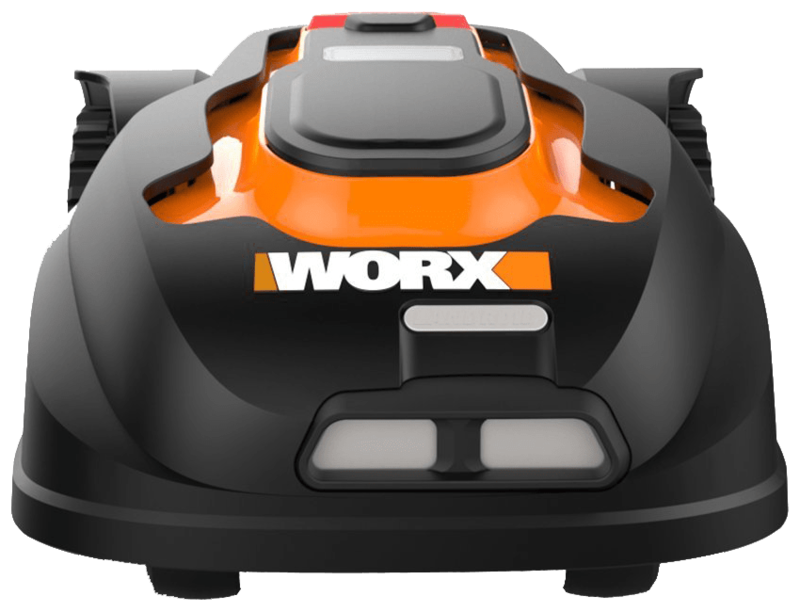 Worx Wg794 Landroid is the perfect robotic lawn mower that’s fully equipped to work on 1000 square meters for every single charge. The device works with the guidance of a low voltage perimeter wire that is placed around the boundary of the lawn. It works by spinning razor blades to slice the grass which is a safer and easier way to cut grass as compared to traditional mowing that involves hacking the grass. 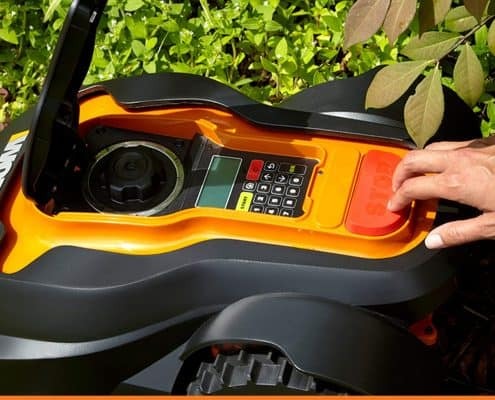 This programmable robot gives you the ability to customize it to suit your cutting height, yard size, patterns, mowing schedule and so much more. 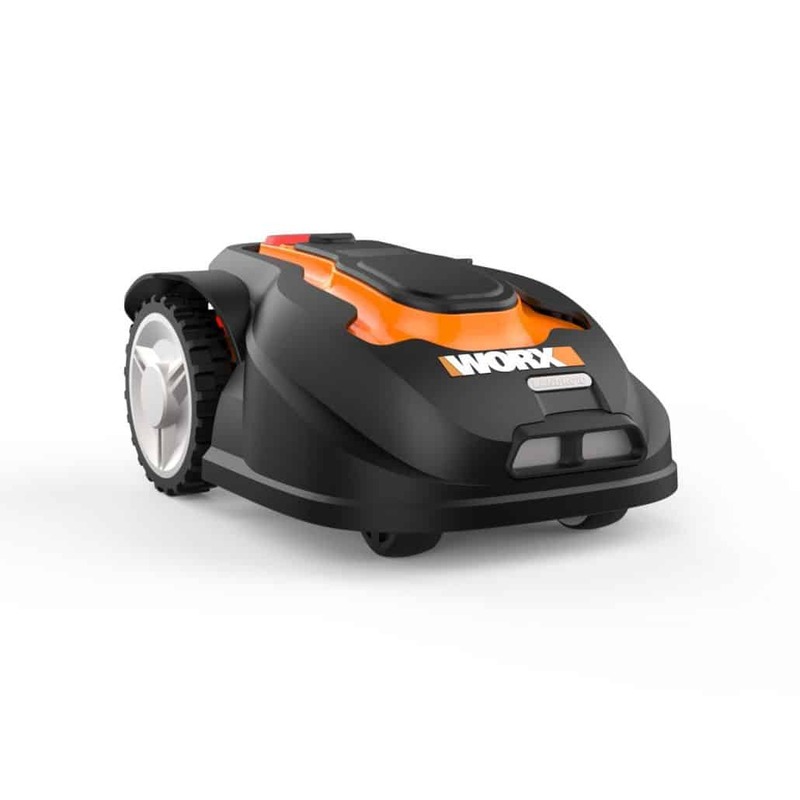 With its high-end features, the Worx Wg794 Landroid cuts with amazing precision and can ascend slopes of up to 20%, and all this is in very good time. 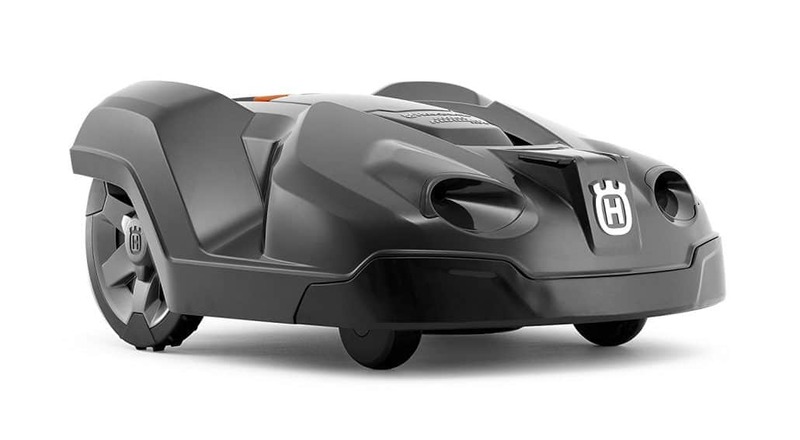 The design of this futuristic lawn mower just knocks your socks off. It features a gold housing that gives it an executive look with a compact frame that has dimensions of 21 X 14 X 10 Inches. This means that this device is small enough to remain conceivable behind the grass while executing its duties flawlessly. Seeing it for the first time, the main thing you notice is the huge red stop button, but there are other controls that are on the gold casing covers such as a numerical keypad that helps program the device. There’s also a small LCD on the console which gives you an update of real-time statistics to help you further program the performance of the device. The blades boast a fair diameter of 8 inches which should be enough for your monthly maintenance of the lawn. The fact that there is a significant space between the blades and the casing above makes it even safer to use. Better yet, by lifting the device, you automatically interrupt the entire movement, and this makes it safe especially for children. Worried about your uneven turf? 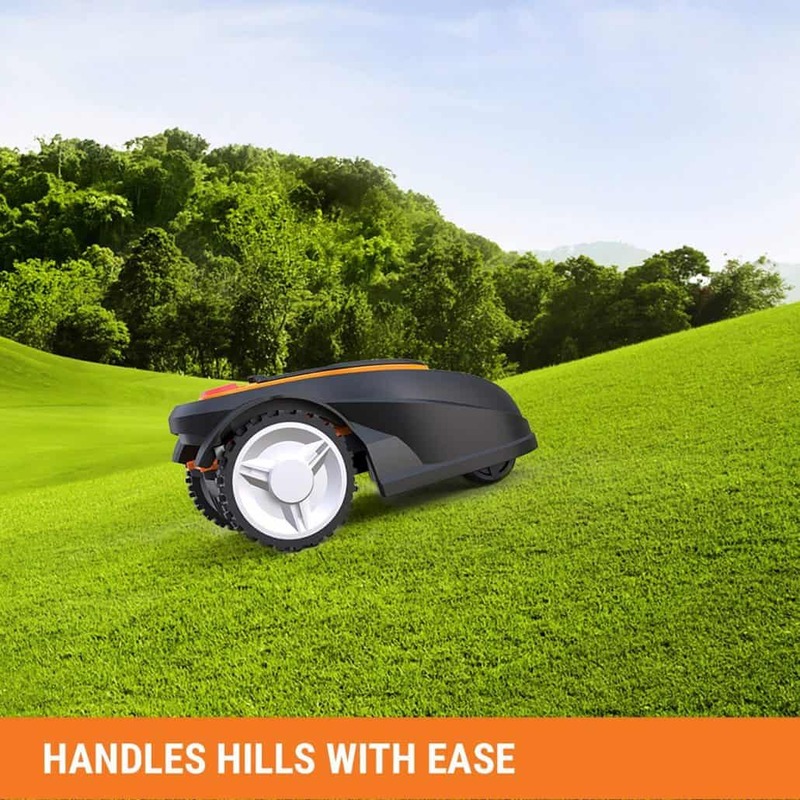 You can put your mind at rest as the Landroid comes with superb electronics to allow the device to manicure even the most uneven turf. And even if you left a toy out on the mower, it has a shock sensor system that makes it easy to navigate any obstacles. It also boasts enough antitheft features as it comes with pin enabled lock as well as an anti-theft alarm system. You can be sure that it will not disturb neighbors, as it works very quietly. It’s not compatible with smartphones. Are you looking for an excellent mower that can work without any operator and do a neat job? The Husqvarna 430X lawn mower is large with the GPS navigation for more efficient control. The mower can work even on the larger areas of up to 0.8 acres. It can also deal with the steepest slopes with inclines of up to 45%. 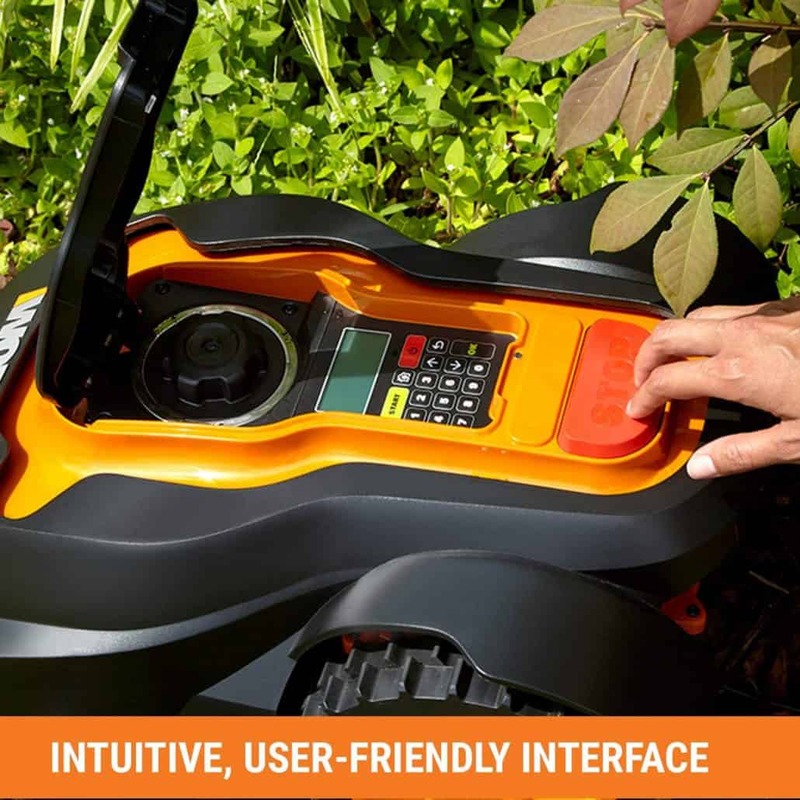 This is definitely one of the most sophisticated mowers you can get out there as the onboard system will come up with a map of your garden, and then the automower will automatically adjust its pattern and mow efficiently knowing exactly where and what to mow. 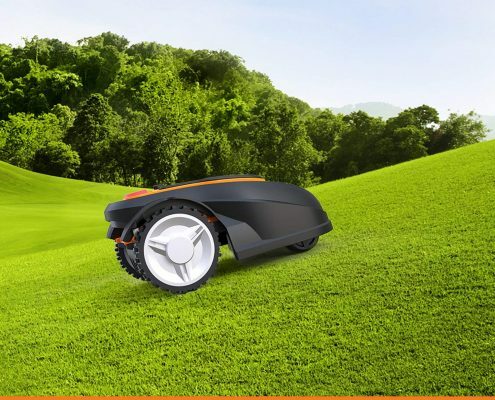 This futuristic mower has been integrated with smart technology which intelligently adapts to the growth rate of your lawn which means that it can spot mow on acres of grass with even less energy usage. Worried about the narrow passages? This automower can handle slopes with sloped of up to 45 degrees inclines. What makes its interface special is you can control it from your phone. You can go on a vacation to Paris and program the mower to start working on the yard for you. 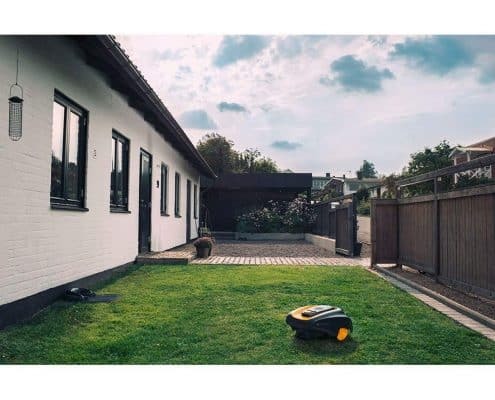 You only need to download the Automower Connect App which allows you to control the mower from wherever you are. Need to know where your automower has been? You can use satellite imagery of the lawn as well as a heat sensor pattern. If you have flowerbeds, the spiral cut feature is definitely a great feature for you as it allows the automower to move in perfect circles leaving the flowerbed looking great. The good thing is that the Husqvarna uses the spiral mode around the flowers and switches back to normal when it moves away. It cuts between 0.8 to 2.5 inches so you can try setting it at 2.5 inches at the beginning before trying a lower cut if you wish. This is better as it leaves clippings of grass that do not need a rake. Unlike most other mowers, the Husqvarna 430X can mow around sharp corners and sharply mark the edges. 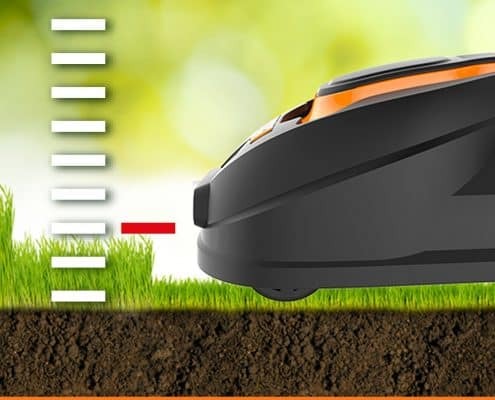 The mower comes with the weather sensor which adjusts to its programming to suit the weather or season. The best thing is that the lawn mower cuts faster in the rainy season as the grass will be growing faster. The mower is weatherproof. The small little bot comes with a 2-year warranty although that may depend on the dealer. The blades need to be sharpened every month to enhance its efficiency. One thing that I find on the flipside is that the mower doesn’t include additional blades upon purchase so if you need replacements, you may need to buy them online. 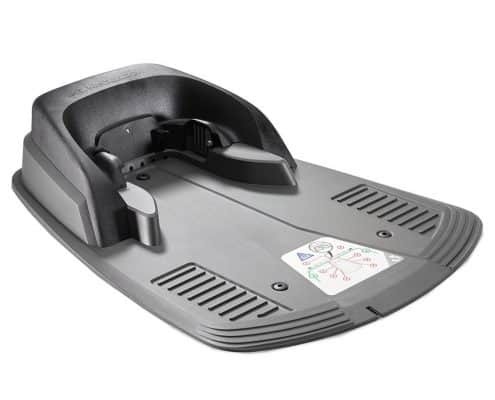 According to customer reviews, the mower doesn’t fall apart and hence a durable device. Has smart technology and spiral feature for neat cuts. Mowing the lawn is perhaps a necessary evil if you have a yard at home. The RS622 can mow a yard of as long as a ½ acre and will operate in such a short time. 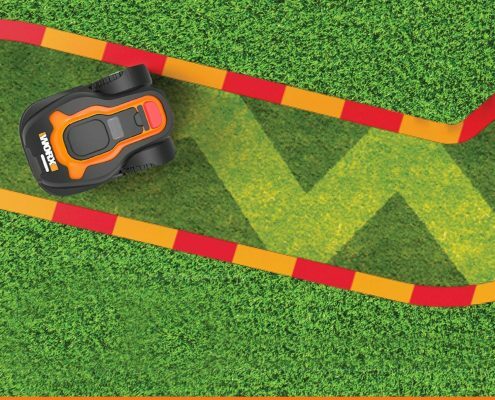 To set up the RS series lawn mower, you only need to lay the wire included around the edge of the grass that you need cut. 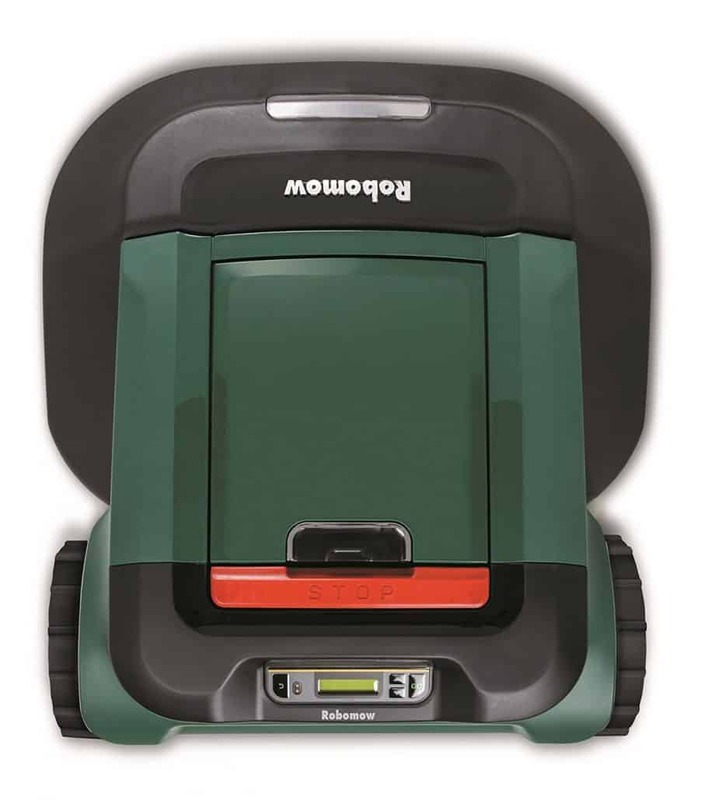 The easy to operate Robomow RS622 moves from the docking station completes the job and gets back to the docking station upon completion of the work. 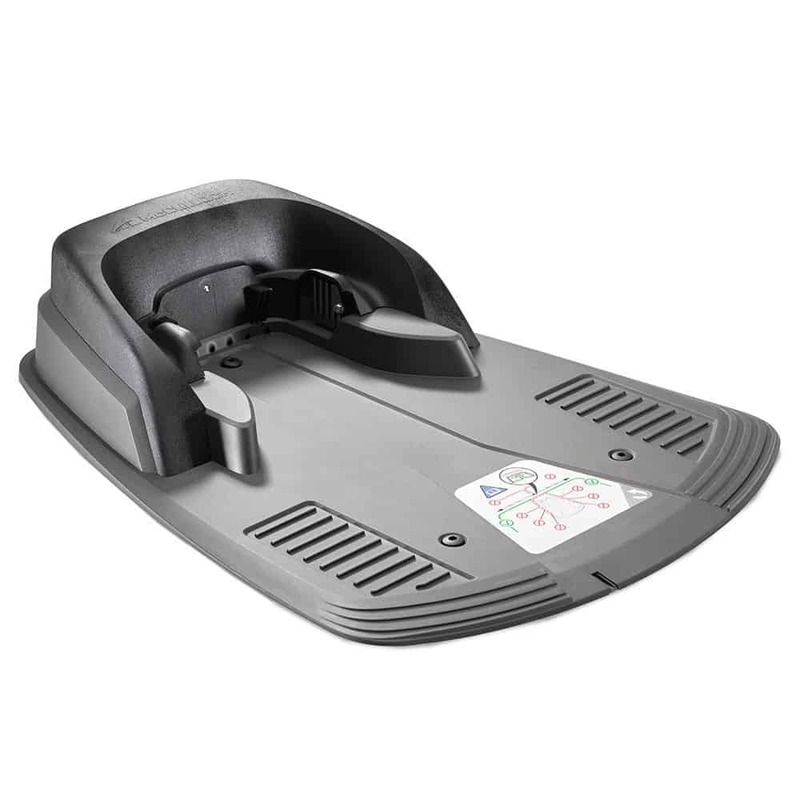 The top of mower comes with a control panel that features an easy to operate LCD that shows time, date, battery status, next scheduled operations and much more. There is also a GO button that helps in manual operation. 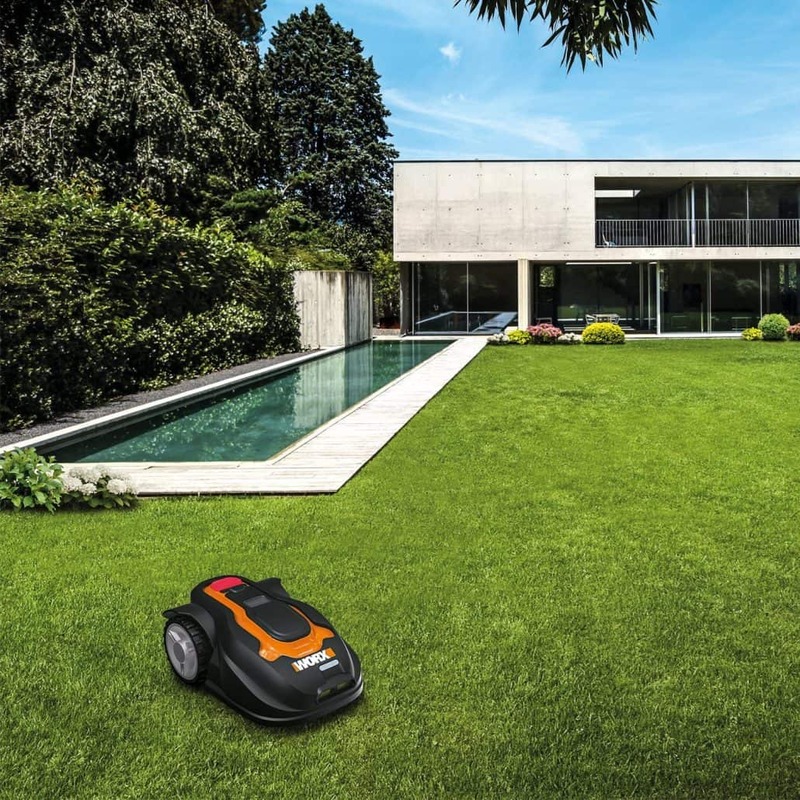 The robotic lawn mower does the job in minutes, thanks to the large steel blades as well as the super powerful motor. You can also be sure that it won’t find it challenging to cut grass over slopes up to 36%. The floating deck allows you to adjust the cutting height according to your preferences and the lawn size. The blades rotate at a high velocity, and the mower will not encounter troubles on bumpy yards. It boasts a cutting width of 22″ and can navigate up to 4 different zones. 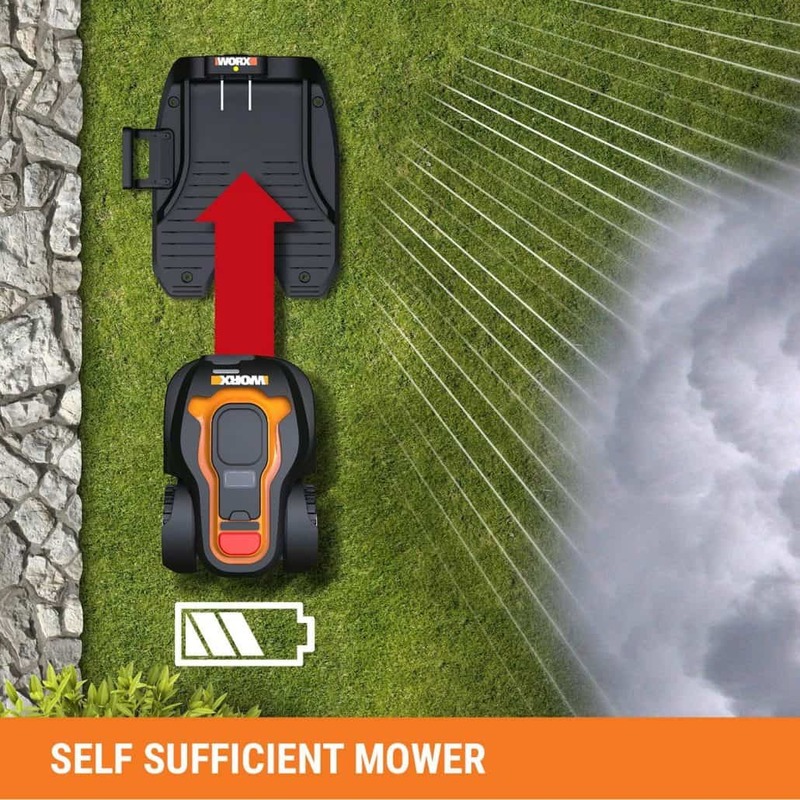 It also comes with an innovative feature, the unique edge mode that allows the mower to move more closely to the perimeter, thanks to the blades located near the borders. 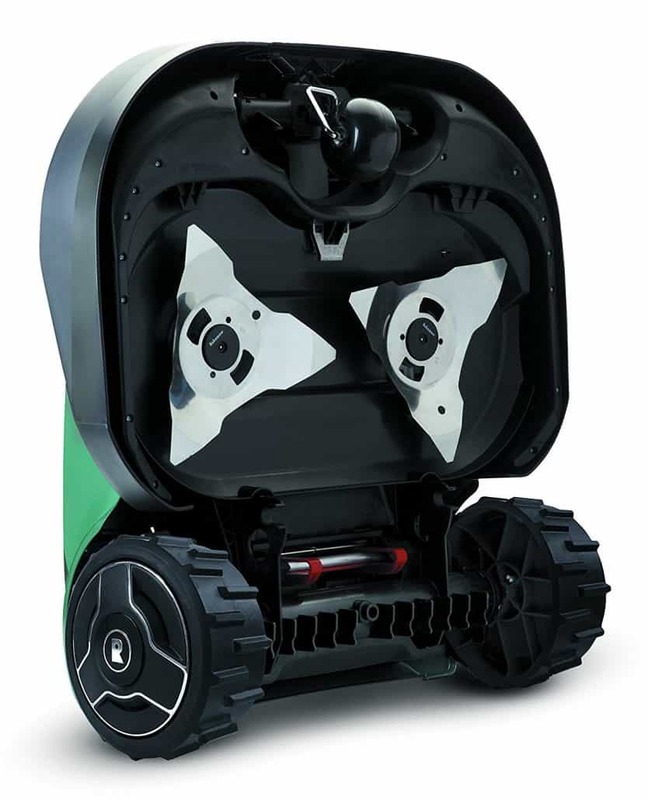 The robotic lawn mower also includes smart features such as the rain sensor which ensures that your mower doesn’t melt to rain. The good thing is you can integrate the mower with your smartphone via an app. The device is compact to allow it to move freely into more narrow areas. The model is also slim and light in weight to make it easy carrying around. You can easily replace the blades without the need of a professional thanks to its modular design. If safety is a factor for you when choosing a lawn mower, the RS622 has been packed with multiple safety features. To begin with, it automatically turns off when lifted from the ground which makes it less risky as the blades will rarely cause accidents, especially to children. The anti-theft lock is yet another convenient feature that allows you to put a PIN as a way to prevent strangers from using it. Considering the complexity of a robot lawn mower, you might be considering the maintenance that this robotic mower will require over time. Luckily, the Snap-On blades are incredibly easy to remove and replace when needed without requiring a tool. 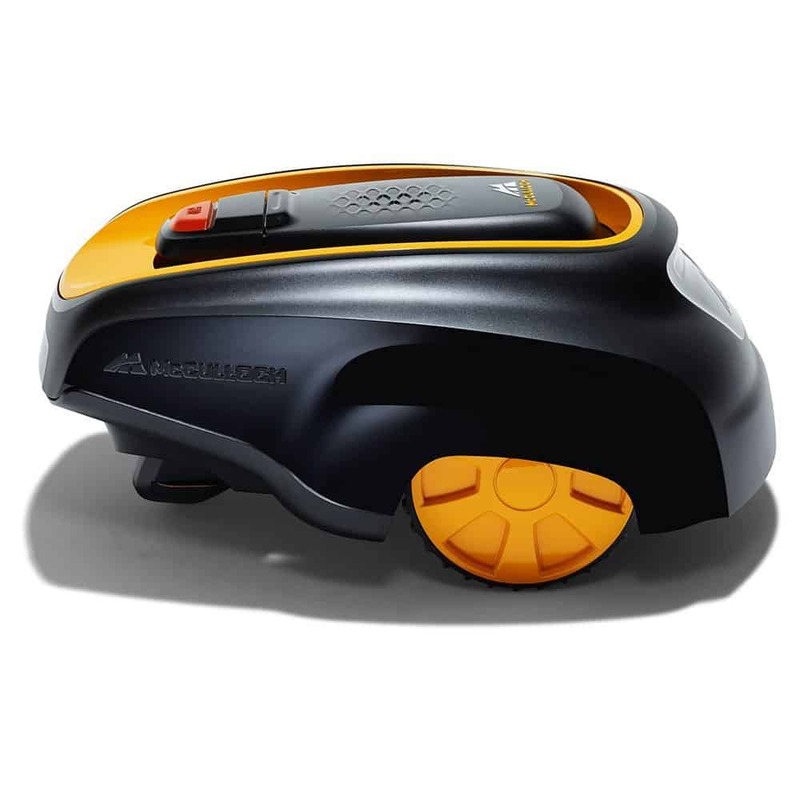 It works on a lithium battery that takes approximately an hour to charge and can mow for up to 55 minutes. 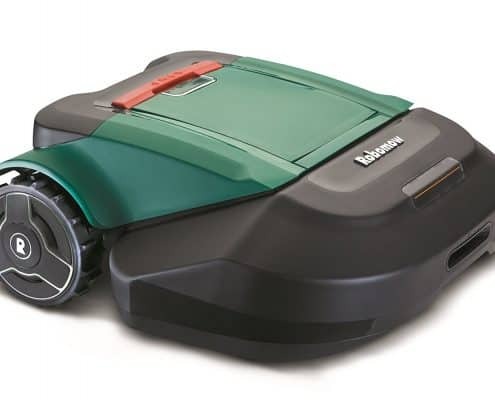 The Robomow RS622 is energy efficient as it only consumes 25 kilowatts of energy during its recharging cycles, but frequent use may result in a slight increase in the electricity bill. 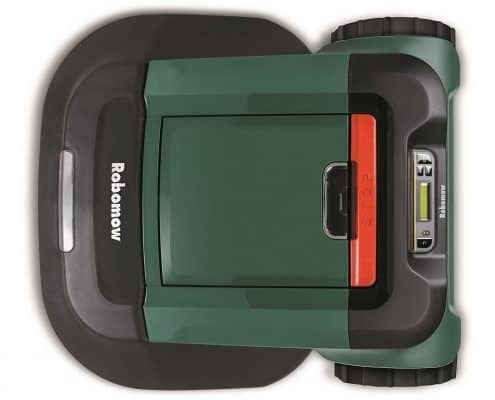 Having the Robomow RS612 is one of the best lawn mowers on the market. 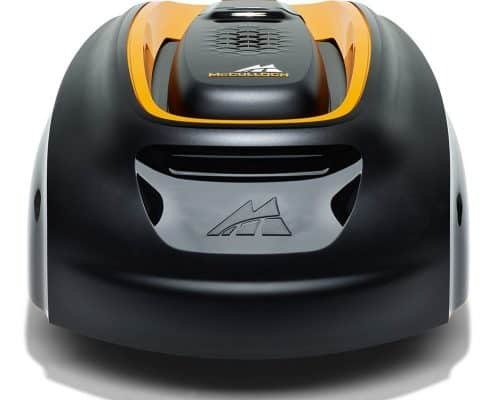 Robomow is known for making high-quality products that always deliver great results despite them being a little bit pricey. If you are looking for a machine that can mow large areas, then this model will do a great job. 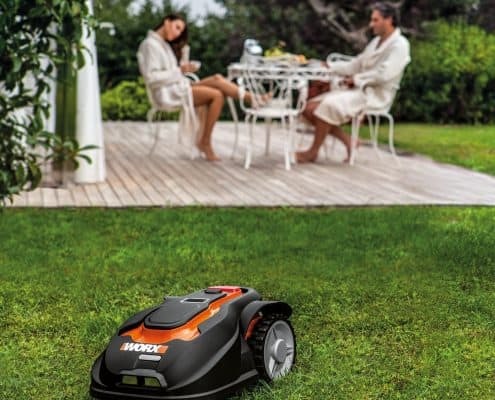 It runs quietly meaning you can mow at any time without you disturbing neighbors. 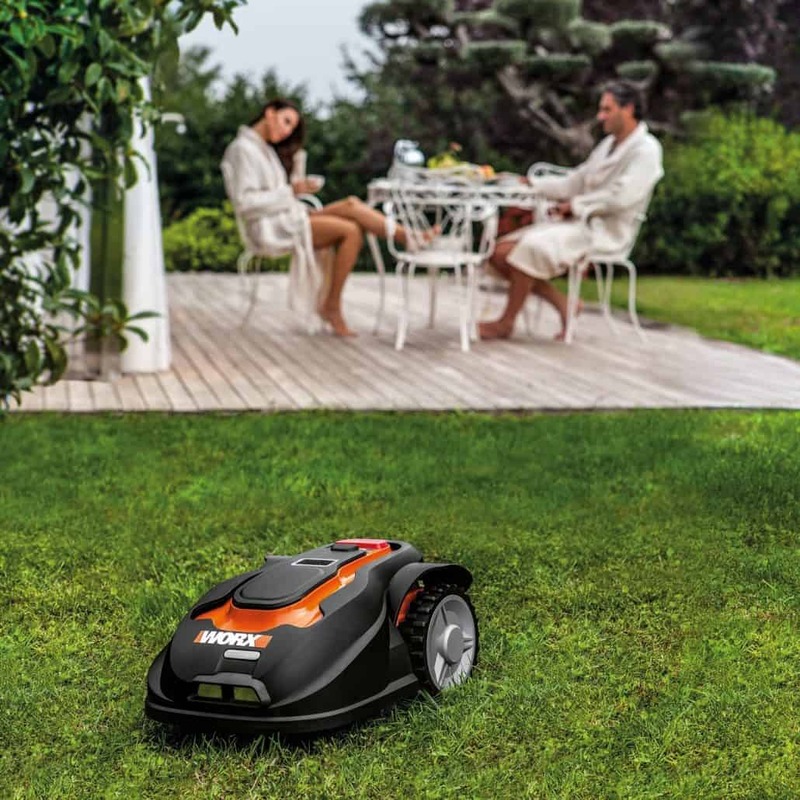 With Robomow RS612 Lawn Mower, you can enjoy a perfect lawn in minutes. Thanks to the large steel blades and its powerful motor, it can cut and clip grass and get over slopes up to 36 percent. 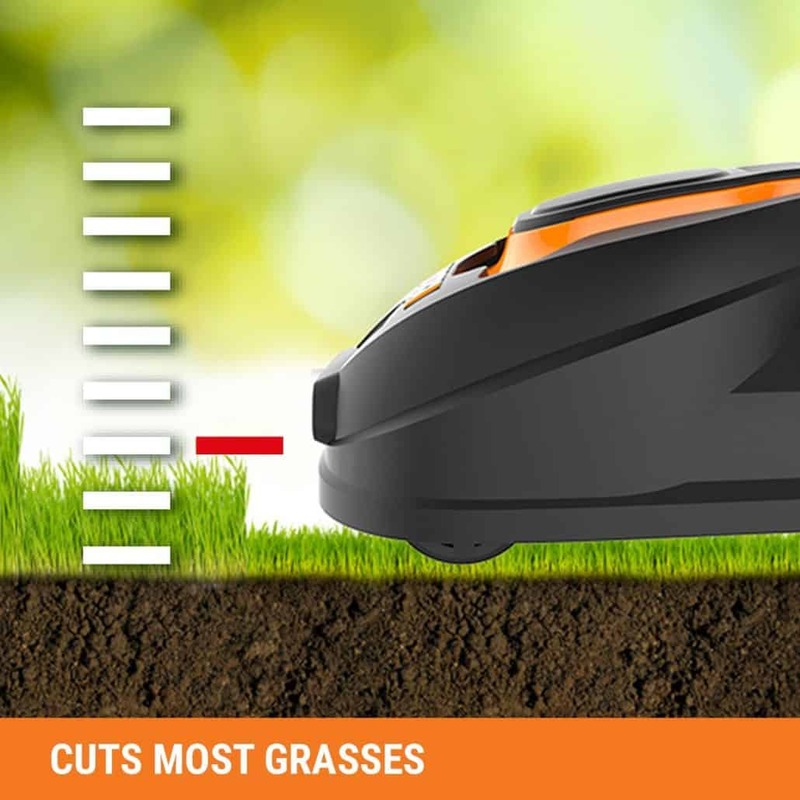 You can adjust its cutting height to the size of your lawn and preferences. You can be assured of great and even results thanks to its floating deck. 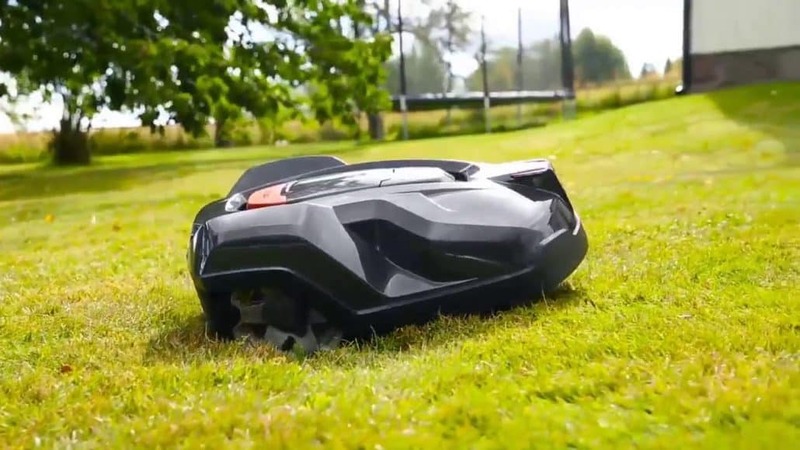 With a cutting width of 22 inches and two sharp blades rotating at high speed, this robot lawn mower can handle massive grass. It has multiple zone capability and can navigate to up to four different zones. 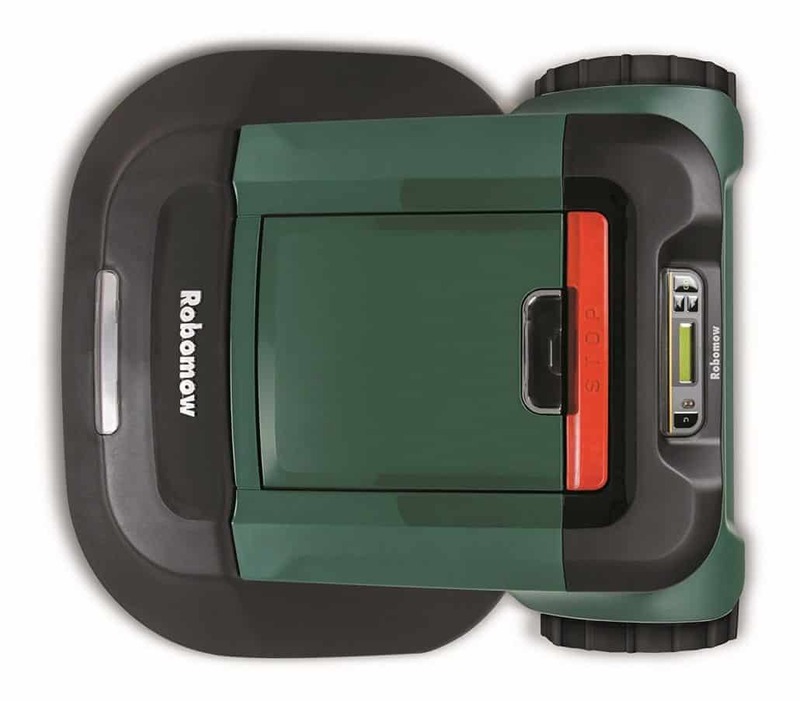 The slim and compact design of Robomow RS612 Lawn Mower enables it to navigate through narrow areas. 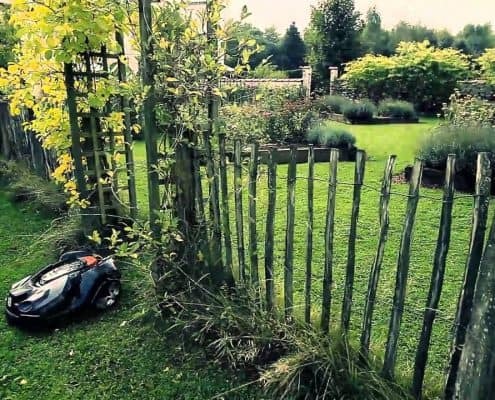 A unique feature of this robot lawn mower is the innovative edge mode that allows it to reach as close to your home perimeter wire as possible thanks to the blades on the borders of the blade. This robot comes with a base station for recharge and where it is stored. 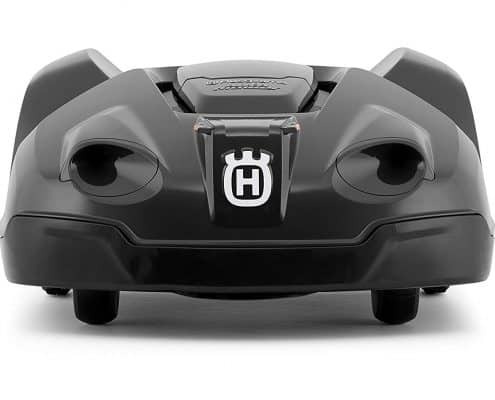 Whenever programmed, it leaves its docking station to work in the area directed and whenever it needs a recharge or after finishing mowing it goes back to its base station. This robot has a rain sensor that allows it to detect whether or not the humidity is too high for it. Also, you can control it using an integrated smartphone app that lets you check the status of the mower and operate it from a distance using your phone. Although the remote control is not included in its packaging, you can use its app to operate and control it from afar. 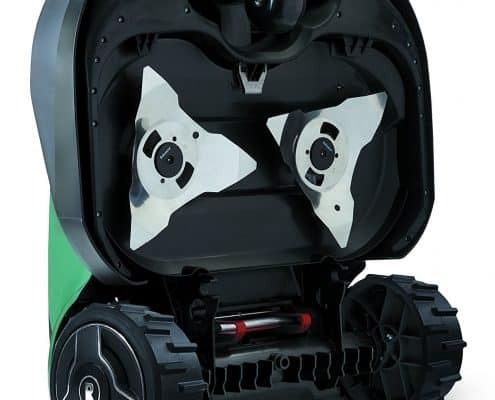 How safe a robot lawn mower should be a major consideration when choosing the best model because accidents can happen if you leave a machine with sharp blades outside. 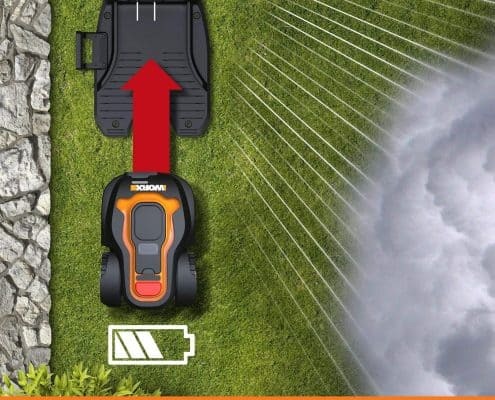 Fortunately, Robomow RS612 Lawn Mower boasts of a series of protection features that makes it safe for use. First, it automatically turns off when lifted or tilted from the ground and therefore there is no risk of touching its blade while spinning. Also, this robot lawn mower comes with a child lock that prevents kids from mistaking it for a toy. Besides, there is an anti-theft lock allowing you to put a PIN code on your mower to prevent others from using it without your authorization. 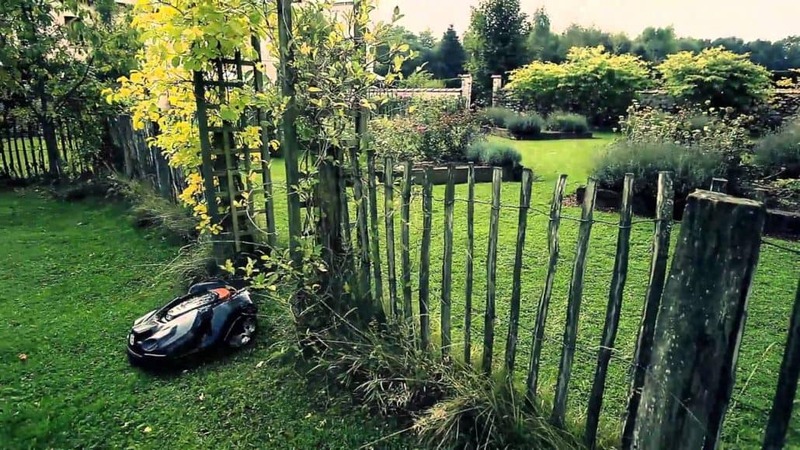 This robot lawn mower is a great machine that does a pretty good job. It is well built and has a stylish, yet compact design. 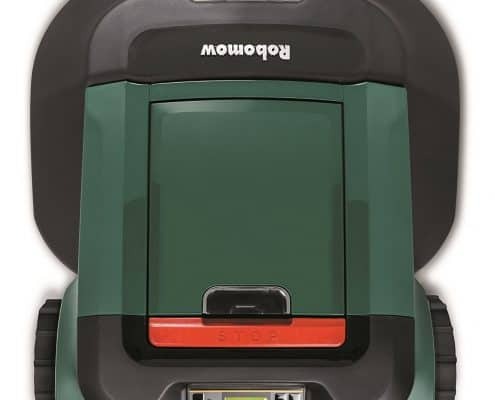 With safety features and great performance, Robomow RS612 is one of the best robot lawn mowers on the market. 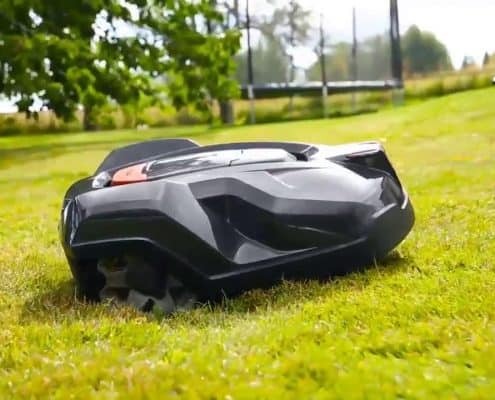 Robot lawn mowers have greatly advanced and managed to hit new levels of reliability and functionality. 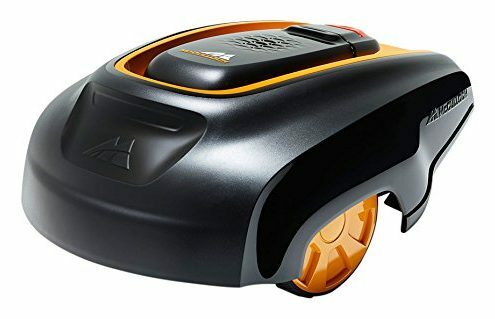 The McCulloch ROB 1000 is one of the most advanced robotic lawn mower on the market with astounding design and great features. 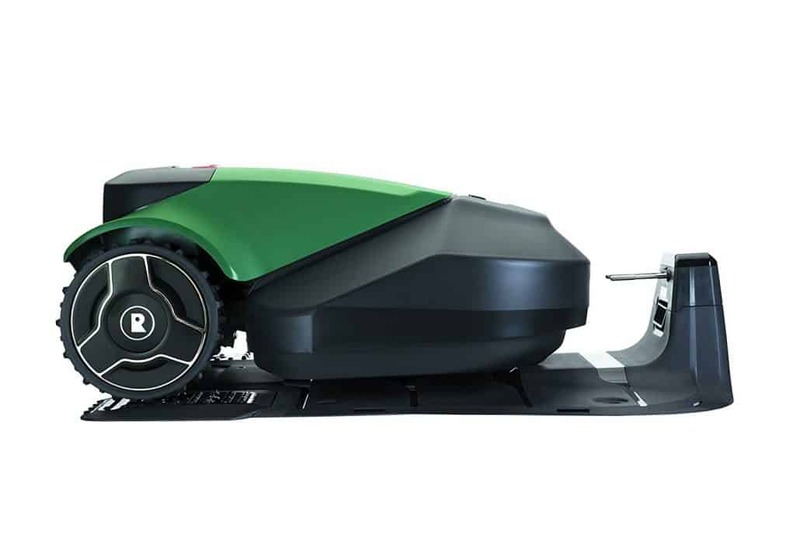 Also called “The Rob,” this amazing robotic lawn mowing machine is virtually silent, cutting your grass seamlessly. Moreover, it is equipped with great safety features that protect it against accidental damage, theft, rain, and other external threats. Regarding installation, McCulloch ROB 1000 is simple to install. First, you need to create a boundary line using the included wires around your robot mower. These wires will guide your machine needs to mow. If you don’t want to have visible wires, you can put them below the ground, and this robot will still identify their transmission. If you are in a hilly area, don’t worry as this model can handle up to 25 percent with ease. You don’t have to worry about mowing up the slopes as this machine will make its way up an incline. A pricy and turf-cutting machine can be an easy target for theft, which is McCulloch, the manufacturers of ROB 1000, included built-in security features. This machine makes a loud alarm sound when lifted off the ground, and the only way to turn it off is by inputting its unique pin code. If someone steals it, they cannot get far or use it without inputting the pin number. McCulloch ROB 1000 is completely programmable. You can set the time you want it to operate, and it will do the rest. It can run day or night, and function in the rain without any problems or interferences. The only time it would not mow is when it needs a recharge. 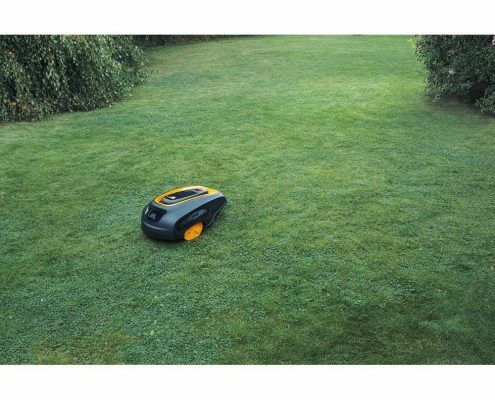 The Rob 1000 can easily mow an area as large as 1,000 square meters. It can handle sloping gardens and inclined yards. Using McCulloch ROB 1000 will ensure that your yard stays healthy and clean. It leaves fine trimmings behind that can enrich the soil and make sure your turf stays green and thick. It runs quietly, and therefore will not disturb anyone in your house or neighborhood. 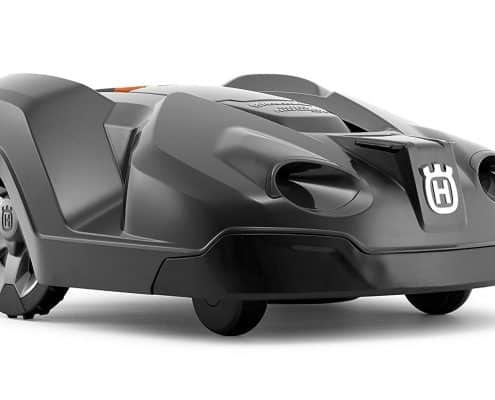 Emitting only 59 decibels of sound, you will find this robot lawn mower ideal for mowing even at night. McCulloch ROB 1000 comes with tilt sensors that will stop its blades from rotating once flipped over or tilted. This helps keep your small kids and pets safe. It has dimensions of 17.32 by 23.23 by 10.24 inches, and thus you will find it easier to store it. 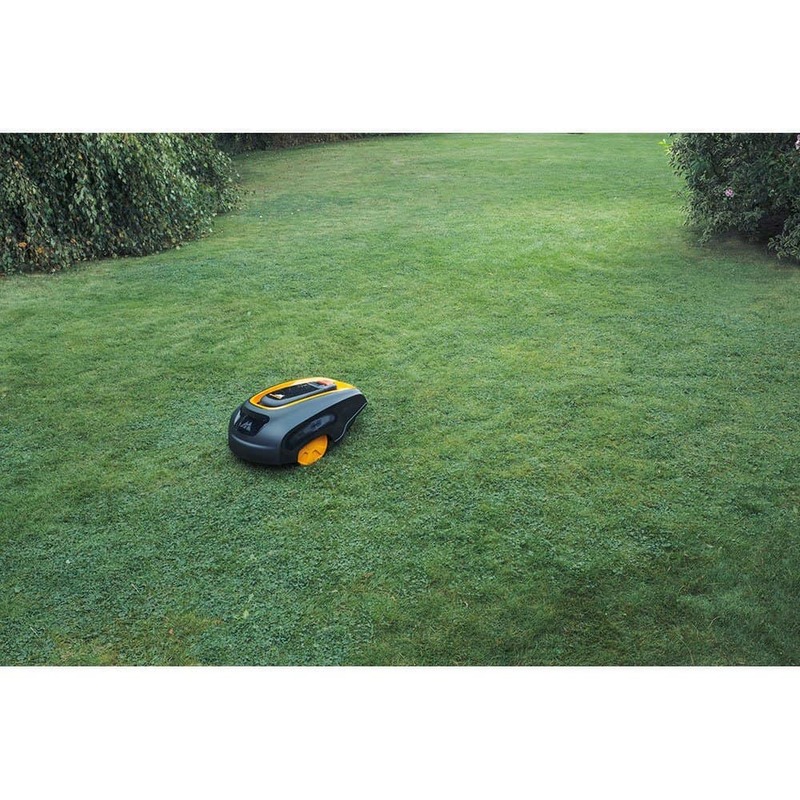 Its compact size also enables it to mow in small pathways. It uses a lithium-ion battery that recharges at a faster rate- it takes about 50 minutes to recharge its battery fully. All the robot lawn mowers we have reviewed here share similar features and are highly recommended. 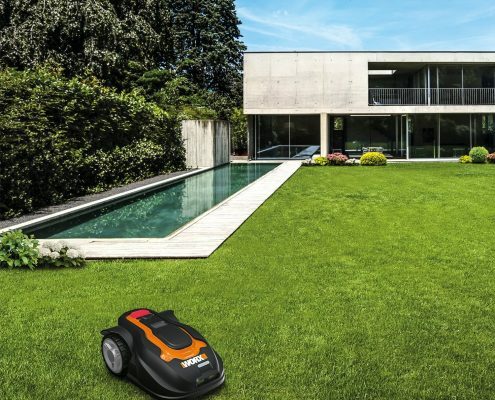 With advanced features such as the capacity to operate them remotely from your smartphones and programmable scheduling, robot mowers give you a better way to automate your lawn mowing task and help create more time for other productive tasks. 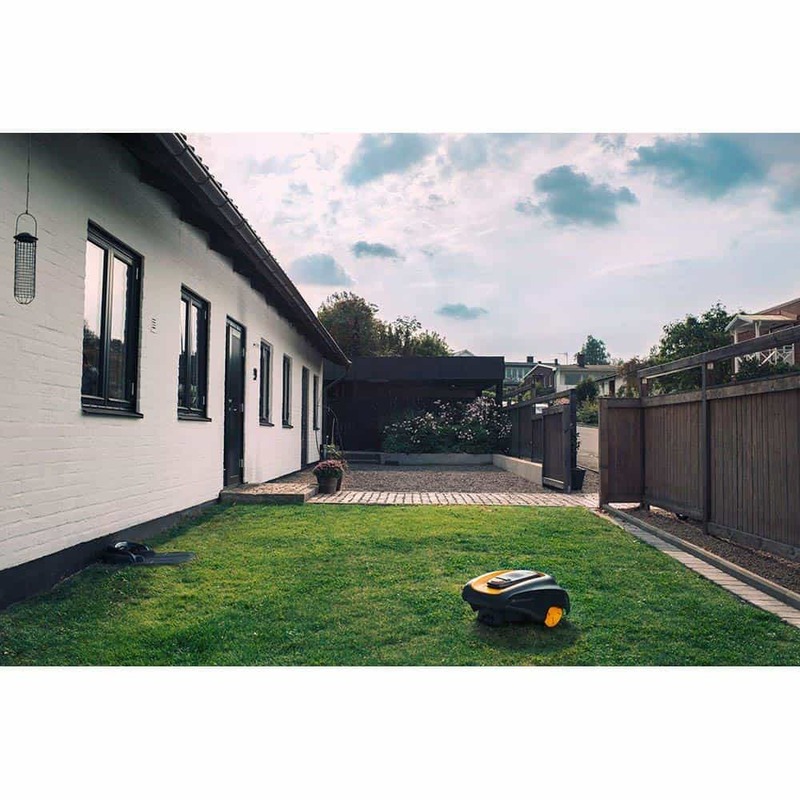 The only thing remaining here is for you to choose the best robot lawn mower for your garden, keeping in mind all the important factors we discussed earlier on before settling on one.